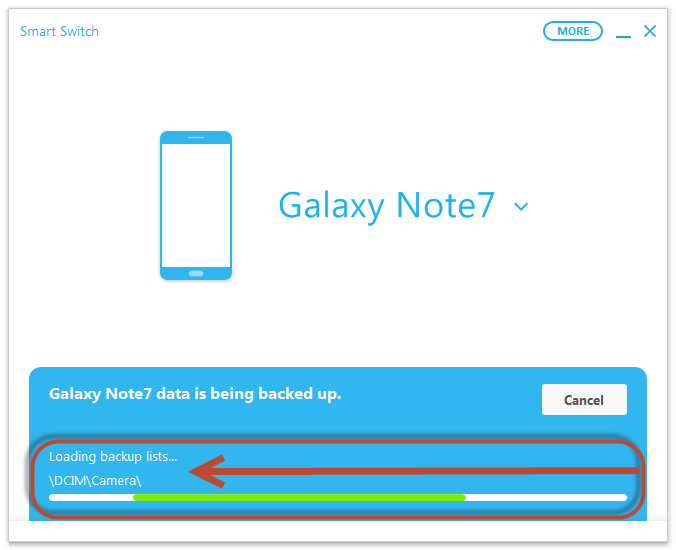 To back up your Samsung Galaxy Smartphone from your computer, please follow the steps below. 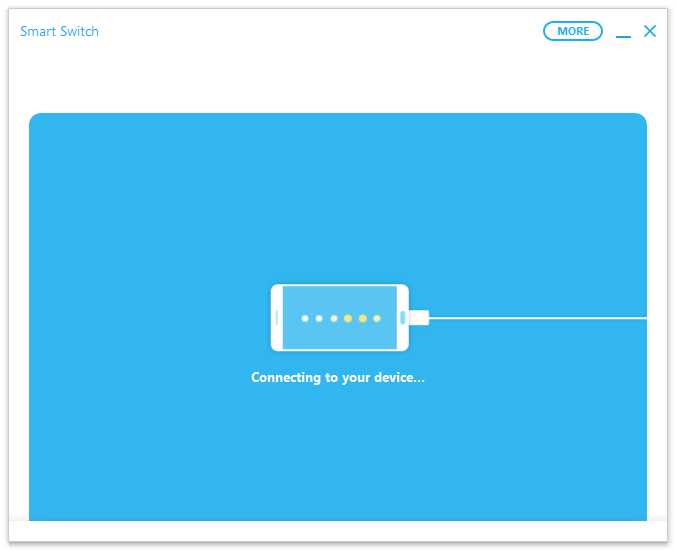 2 Once you've installed Smart Switch on your PC, please plug your Samsung Galaxy Smartphone using the OEM charging/sync cable to your Samsung Galaxy Smartphone and PC. 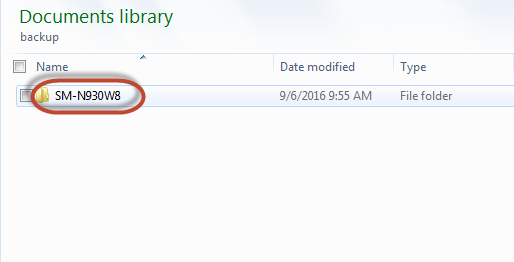 3 Driver may need to install on your PC once plugged in your computer. Please wait until driver have finished installing in order to proceed. 4 Once completed, please run the Smart Switch program on your PC. 5 Once Smart Switch is launched, screen will indicate your device is being connected. 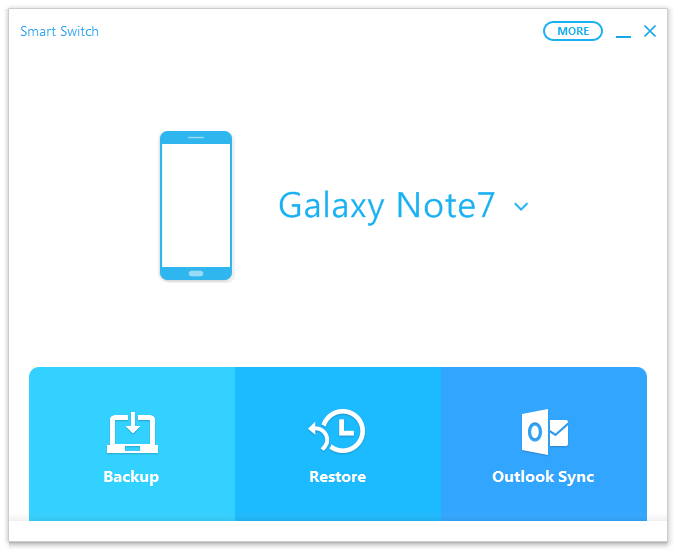 6 Once your device is connected, you will see your device name on "Backup, Restore, Outlook Sync" screen. 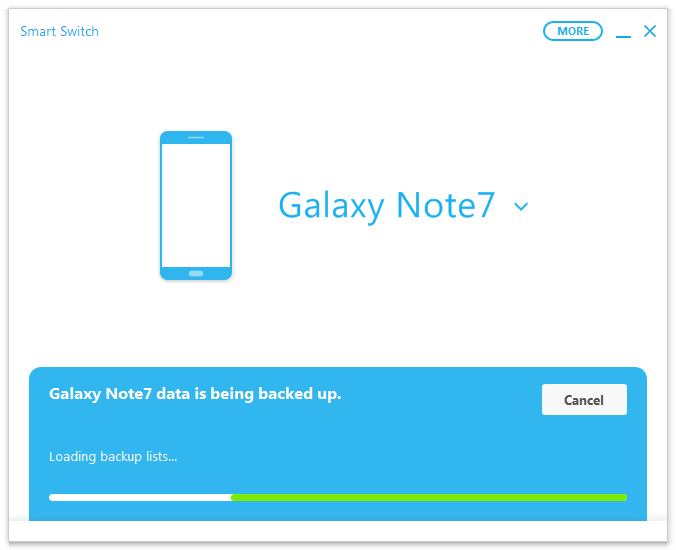 8 You will now notice "Galaxy Note7 data is bring backed up". Please be patient for backup to complete. You will be notified once backup is completed.